Squad pack of German Infantry for World War Two. The figures represent a Wehrmacht unit fighting around 1942. They can be used for before this date. You can use them after 1942, but German units after 1942 will have begun to be issued with different weapons and equipment. 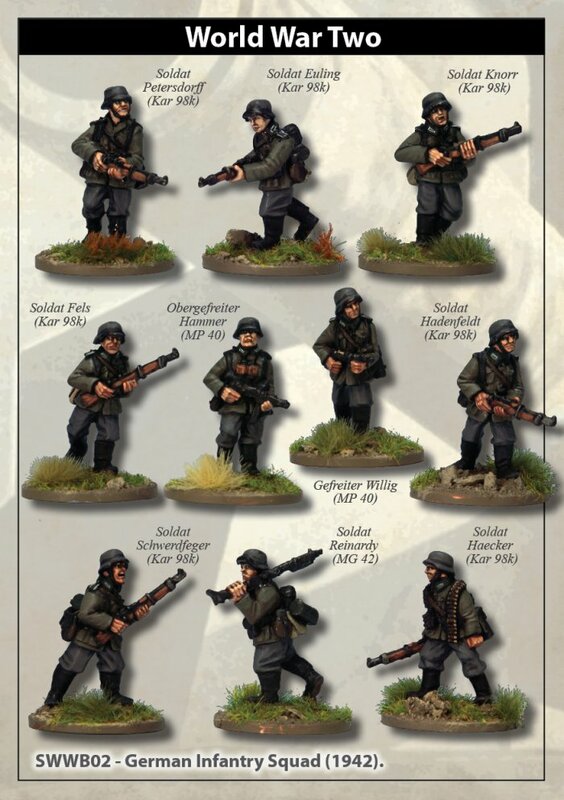 This squad pack gives you a ten man unit armed for use in all World War Two wargames like Bolt Action, Rules of Engagement and Rate of Fire.